KISSIMMEE, Fla., July 5, 4:00 p.m. – The Kissimmee Utility Authority board of directors on Wednesday adopted a $237.6 million budget for fiscal year 2007, a $1.8 million decrease over fiscal year 2006’s $239.4 million. The 4-0 vote came after a public hearing on the budget. Director Domingo Toro was absent. The adopted budget includes $117.7 million for fuel and purchased power and $17.5 million for construction and capital expenditures. The majority of the capital expenditures are related to growth and reliability enhancements to KUA’s transmission and distribution system. The 2007 budget includes work on three new electric substations: Pleasant Hill, Osceola Parkway and Neptune Road. The budget reflects $16 million in transfers to the city of Kissimmee and Osceola County for electric sales and taxes. The budget includes a net increase of two positions, increasing KUA’s total employee base to 307.5 in 2007 with an annual payroll of $23 million. Payroll for the budget is based on a market level adjustment of three percent for utility employees. 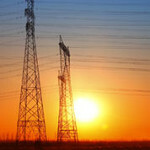 Customer growth in FY 2007 is expected to rise 4.2 percent, while energy sales are forecasted to increase by 5.2 percent. No base rate increases are planned for the new budget year.